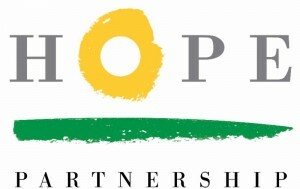 To book your tickets for this event, please follow this link to the HOPE Partnership Website. Join HOPE Partnership for a special evening featuring cocktails and hors d’hoeuvres on the beautiful terrace at the Ivoryton Playhouse and the premiere of Comedy is Hard! written by Connecticut native, Mike Reiss. The show stars Micky Dolenz, best known for his role in the 1965 TV sitcom The Monkees with Joyce DeWitt from the ABC hit TV series Three’s Company. This event is sure to sell out! Proceeds benefit HOPE Partnership’s efforts to create affordable workforce housing in our shoreline communities. Acting coach Ira Sakolsky invites you to a workshop based on the improvisational theatre games of Viola Spolin and Paul Sills (co-founder of the Second City in Chicago and originator of the Tony Award-winning ‘Story Theatre’). The games allow students to absorb theatre skills organically, without any conscious effort. The workshop is designed to bring a spirit of spontaneity and play to your work and life. Theatre games were used to train many film & television stars including John Belushi, Bill Murray, Mike Myers, Steve Carell, Jon Stewart, Stephen Colbert and Tina Fey. It is open to and suitable for all levels, from beginners to experienced players. Suitable for students aged 16+. Students are asked to dress comfortably to move. 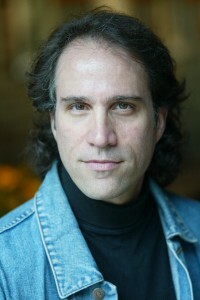 Ira Sakolsky has worked as an actor in Film, TV, Radio, Broadway and Off-Broadway. He has taught improvisational acting technique for more than 30 years, working with Paul Sills and his daughter Aretha Sills who is dedicated to preserving the pureness of Paul’s and Viola Spolin’s work. Ira owns Riverway Studio in East Haddam, an award-winning music and production studio. This workshop will run on Monday nights for six weeks starting Sept. 8th at the Ivoryton Playhouse Rehearsal Room in Centerbrook from 6:30pm-8:30pm. Fee: $175. Advance payment required. Please send checks made payable to Ivoryton Playhouse to: Theatre Games Workshop, Ivoryton Playhouse, PO Box 458, Ivoryton, CT 06442.